What does it mean to be a remote viewer? Generally, when you are a remote viewer you are able to zero in on people, places and things and describe them with stunning accuracy. Targ, who ran Stargate, the CIA’s remote viewing program along with fellow scientist Hal Puthoff, says that when Washington DC Officials wanted proof of remote viewing he would invite them to try doing it themselves. Each person who tried remote viewing, including the Undersecretary of Defense, was astounded by the results. Once someone tried it and was successful they became a raving fan of the program. I found this short video interview with Russell Targ. I encourage you to watch it as it is only 9 minutes long. Here he talks about how easy it is to do and shows us some of the drawings of the “targets,” locations that were remotely viewed by participants, including himself. The drawings are surprisingly accurate when shown next to the photos of the actual locations. It’s not unusual for me to “see” the homes of the people I’m speaking with. Many years ago when I first realized I had this ability friends would introduce me to their friends and ask me to “do that thing where I see their house.” I’d laugh about it, close my eyes and place my fingertips to my temples and say, “I see real estate!” Then I’d go on to describe the person’s home Honestly, I had no idea what I was supposed to do all with this information. Perhaps that’s why I ended up financing real estate? In any case, it turned out to be really useful for me to have this ability. Now, I tune into clients by connecting to their environment “remotely.” Once I’ve established a connection to them through their home or wherever they are I begin getting impressions about their life and the issues they want help with. In what ways could remote viewing or clairvoyance be useful? 2. Finding lost items or missing people. 3. Seeing if your family members are okay when they are away from you. 4. Visually inspect things at a distance rather than having to physically travel to the location. 5. Solve complex problems by viewing them from within the mind. 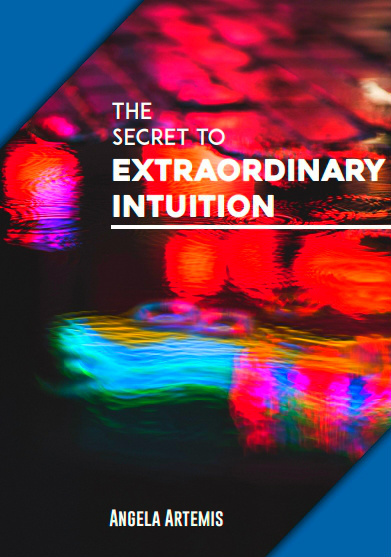 I wanted to share this video with you because this interview supports what I believe: Intuition and psychic ability are not reserved for the special few. Everyone has this ability to a certain extent. If you have a desire to develop it further you will and if you don’t you won’t and that’s okay too. After watching the video do you believe psychic ability is natural to most people? Were you surprised to learn how successful Targ was on his first try? Would you be interested to learn how to do this? If you enjoyed this article please do share it on Twitter, Facebook and Google+1. P.S. 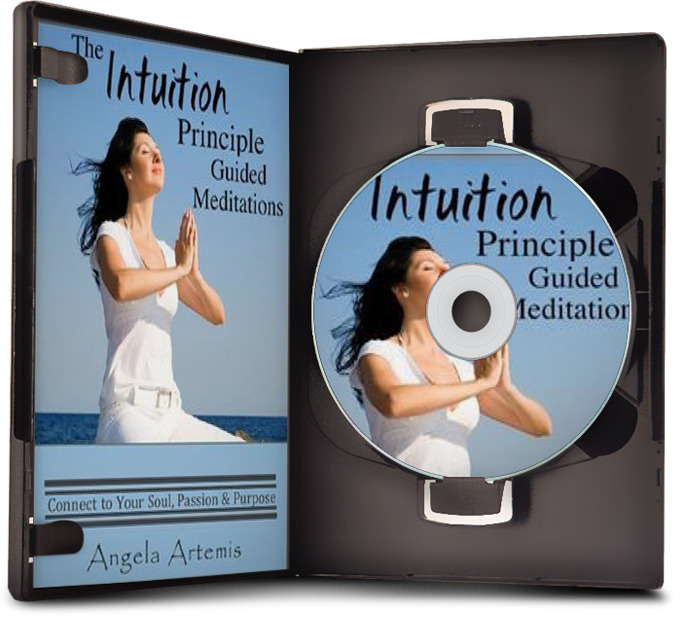 Learn to develop your intuition – click here. Hi Angela, this article is getting a little old by now, but still wanted to comment. Yes this is a fascinating field of study, scientifically and psychically. Like many others including yourself, i also believe that the intuition or abilities are not given to a select few gifted, rather we all have the potential for this sort of perception. And yes some are born with an innate talent while others must train and practice much more to accomplish the same feat. I have tried a few places online to attempt this with promising results. In saying this, my point is that i am not a prodigy by any definition, just an ordinary guy. I was quick and didn’t take a lot of time on each number/picture combination, but the general shapes and colors, along with a few other descriptors did match up with the pictures once revealed. I do hope to practice and develop this more as time and life allows. Great article and thank you. I’m so glad you found this article worthwhile. Great meeting another remote viewer – especially a self-taught one like you. 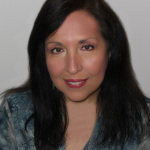 I just had a wonderful session with Angela and was thrilled as she described my house and some decision we’re trying to decide about the house. It was totally amazing and accurate! She even described our dog who loves to look out the windows. I’ve always wondered if I could do “see” like this. It’s truly amazing! I’m so glad you got a lot out of it. You can probably teach yourself to “see” like this! I continue to be surprised at what we are capable of…..pleasantly surprised. I am now more of the belief that ‘psychic ability’ is one of our potentials…..we all have this ability however it is largely unexplored. There will be other ‘abilities’ that we posses that are yet to be discovered. I often see something, be somewhere for I think the first time yet have an extremely strong feeling that this has ocurred to me before…..are we talking similar things here? You know you are “preaching to the choir” with me. I most certainly believe that we all have psychic abilities! It sounds like what you’re describing is “deja vu.” That’s when you do something and have the distinct feeling you’ve been there or done this thing before. That’s isn’t considered a psychic manifestation. I’m not sure what causes it. Some people say it’s a memory from a previous life. I’m honestly not sure. It could be tapping into the “collective unconscious” and through that being conscious of having done that thing before thought. Deja vu is an interesting phenomenon. Thankyou for your thoughts on this. 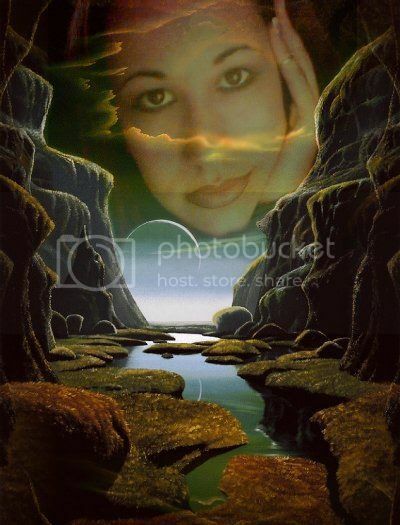 When I was talking ‘psychic abilities’ above & largely unexplored I was meaning that many will have this ability however have not explored their own potential. Thank you for clarifying David. I misunderstood. I think everyone has some innate ability to do certain psychic things. However, I don’t think all psychic channels work equally well for all people. Sometimes, you are better going with whatever particular “brand” it is you feel most familiar with. I agree not all psychic channels work equally well for everyone. We each have our strengths in certain areas. I might have a stronger tendency to be visually oriented while you might lean toward auditory channels. I don’t think everyone is cut out to be a concert pianist either but if you take a few lessons on the piano you will be able to play a song. I think it’s the same with intuition. I am always learning new and interesting stuff on your blog. I have heard about remote viewing but did not know much about it. I suppose it has its many benefits. What is intriguing that you said “any one can do it”. Do you do remote viewing yourself? I guess one must need great concentration and practice. Neat stuff! No, I don’t practice remote viewing in the strict sense that Targ and his colleagues developed it. It was developed for spying. I am naturally clairvoyant. I close my eyes and see things and can go places in my mind and report back on what I’m seeing. That’s the same thing that remote viewers do. Remote viewing uses “targets” that are assigned a random set of numbers. The remote viewers are given the random set of numbers and asked to describe whatever they see come to them from the numbers. The random numbers are used so that the remote viewer doesn’t receive any sort of information about the target by “naming it” and so that the results are not considered flawed or tainted by the assumption that the remote viewer could have made assumptions based on the name of the location. I have Russell Targ’s book on how to do this but have barely cracked it open. I bought it back when I thought I needed it. 😉 Now, I don’t want to work so hard to do a “method”. Great article, as usual. Thank you. I’m so glad you enjoyed this post. I too don’t want to work that hard especially when I don’t need to either. A lot of people who go for these Remote Viewing seminars that costs thousands of dollars, by the way, like all the “coordinates” and drawing distractions. Hi Angela — I’ve often had a sense of another person’s personal history if I observe them closely enough — at least, of the events that most powerfully shaped who they are. I was on a plane recently, and when I saw the flight attendant I got a strong sense that she had discovered someone who was dead, and felt frightened and guilty about it. There was something about her body posture that suggested that she was living her life as if, in every moment, she was still discovering that dead person. I wanted to tell her that it wasn’t her fault. But I dismissed the idea as “too weird.” It was a powerful experience. That sounds exactly like what happens when you “read” someone. I think you should explore this. Would you be interested in some training if I offered it? This is new for me, being a remote viewer. I do feel that I go with my instincts on certain things. I’m not sure I’ve accessed actually seeing something through my mind’s eye, which sounds fascinating, but I get a gut feeling about something and know that everything is ok. Thanks for sharing – I definitely want to learn more about being a remote viewer. I wasn’t sure people would be interested. Okay, I’m going to put my thinking cap on to create something on this. I also believe that all of us are intuitive and all of us can teach ourselves to strengthen that. I don’t think it’s a special “gift” allotted to just a few. I’d love to try RV…off to do some more reading on it! LOL – those were some fun parties! I hope I’m sill fun – all I seem to do these days is sit behind a computer! Great. I’m glad to hear you’re interested. I’m thinking of teaching it. I tried remote viewing in a workshop some years ago. However, because I did not believe I could, I did not make a real attempt. I was skeptical not because I did not think that it was not possible by anyone at all, but I just doubted in my own ability. It will be nice to be able to pick this skill up. It’s great that RV comes naturally for you, Angela! You could so do it Evelyn. I’m glad you’re interested. I’m thinking about teaching this. Great! Glad to know you’re interested. No, not surprised at all. 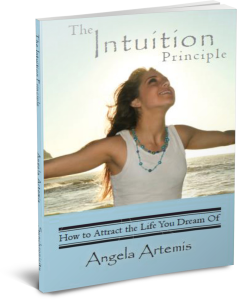 It is obvious (to me) that everyone has the ability to develop their intuition/psychic awareness. I was recently training someone who had studied RV and it was very easy for them to learn how to do readings. I would be interested in learning how to do RV at some point, just to understand how it is different than the way I currently do readings. Sometimes I “see” people in their environment but not necessarily when they are in it at the moment. I have never tried to walk around their house with them, but it would be cool to do that if they wanted to show me something, that would be a great, handy skill! I know I’m preaching to the choir with you! RV uses coordinates – a set of numbers – that you have to focus on. When they first started testing for the psychic spy program they were using geographical coordinates but, they found after a while, it was necessary. Any set of randomly generated set of digits worked just as well. What they learned from this was that the psychic spy’s mind was able to “translate” the meaning given to the numbers and still describe the target accurately. It just shows we cannot outsmart the intelligence that created the Universe even in double blind studies!